The objective was to increase the magazine’s appeal amongst its younger students who considered the faculty boring and staid. 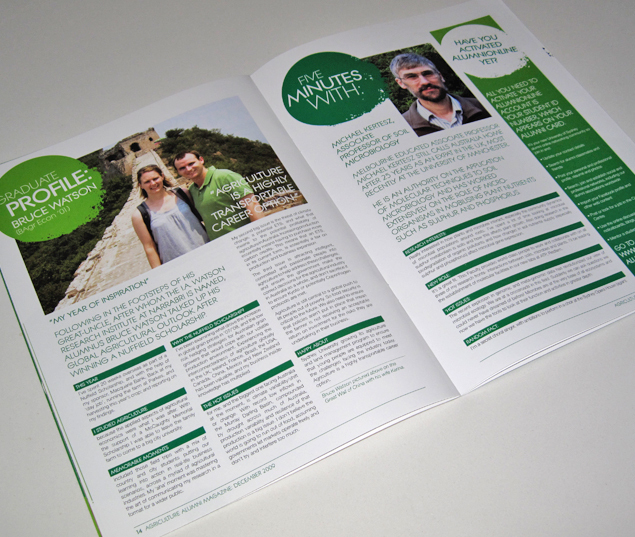 The Faculty of Agriculture, Food and Natural Resources came to us and asked us to rebrand and create a new magazine design for the AgriCULTURE magazine. 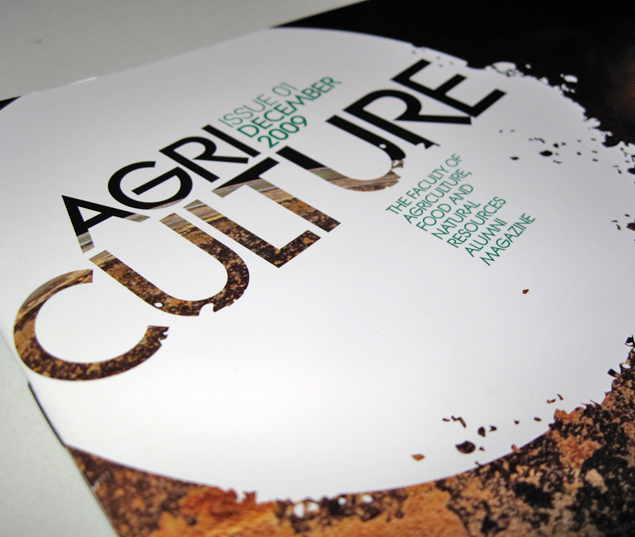 AgriCULTURE is the quarterly magazine produced by the Faculty of Agriculture, Food and Natural Resources. 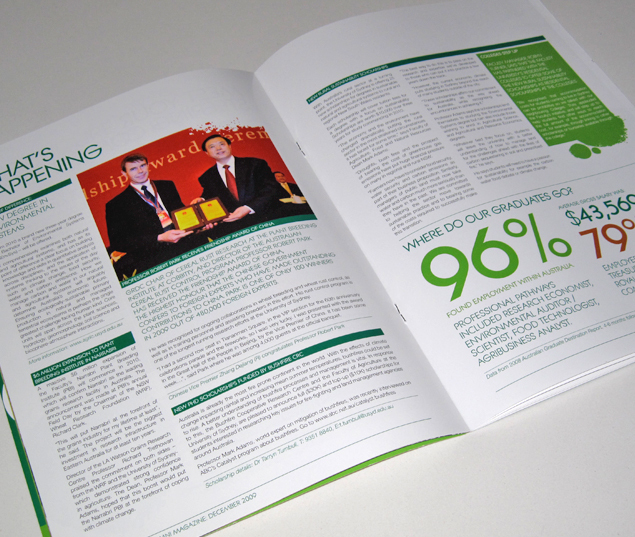 Our team gave the magazine design a modern and exciting appearance, using textures and bold colours to make it attractive to current students. It was a great success, and copies disappeared quickly after its initial print run.